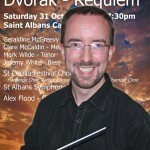 When Alex Flood raises his baton to conduct Dvorak’s Requiem in St Albans Cathedral on Saturday October 31st (7.30pm) it will be 125 years to the day since the great Czech composer completed the orchestration of one of his least-familiar masterpieces. Premiered a year later in Birmingham, the work displayed the combination of drama, tender lyricism and memorable tunes that are a hallmark of Dvorak’s most celebrated music. Yet after immediate success with English and continental audiences, performances of his setting of the mass for the dead became relatively rare. 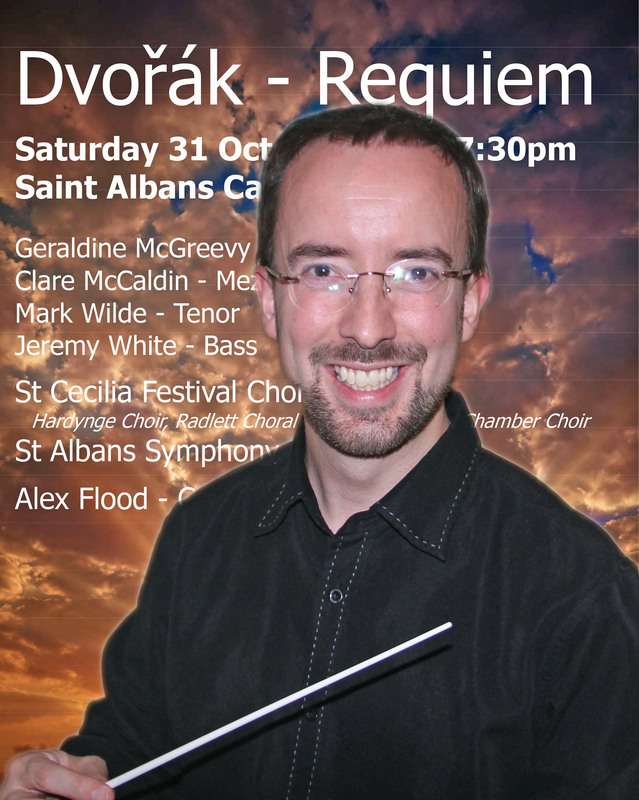 By choosing the Requiem for it’s biennial concert, St Albans St Cecilia Festival Society hope to win it new friends. The four featured soloists all have opportunities to shine, but their contributions are integrated with those of the choir and orchestra in a revolutionary way for the late nineteenth century Among the award-winning performers brought together for the St Cecilia concert, soprano Geraldine McGreevy has appeared in leading opera roles in London, Cardiff, Berlin, Frankfurt and Paris, as well as acclaimed concert and recital performances. Clare McCaldin, mezzo-soprano, has combined performances at the Royal Opera House and the Salzburg Easter Festival, with solo appearances in oratorios, recordings and her own solo touring company. Tenor, Mark Wilde has sung with orchestras around the world, as well as appearing in many of the UK’s major concert halls, opera venues and festivals. Jeremy White, the St Albans-based bass is a favourite with local audiences who performs regularly with the Royal Opera and other internationally renowned companies, and has made numerous recordings. Charitable fund-raising is an important part of the St Cecilia Festival and there will be a retiring collection after the concert in aid of both Rennie Grove and Keech Hospice Care. Tickets, price £25, £20, £15 and £10, are available from the Cathedral box office online (www.stalbanscathedral.org/whatson/music) or by telephone (01727 890290).